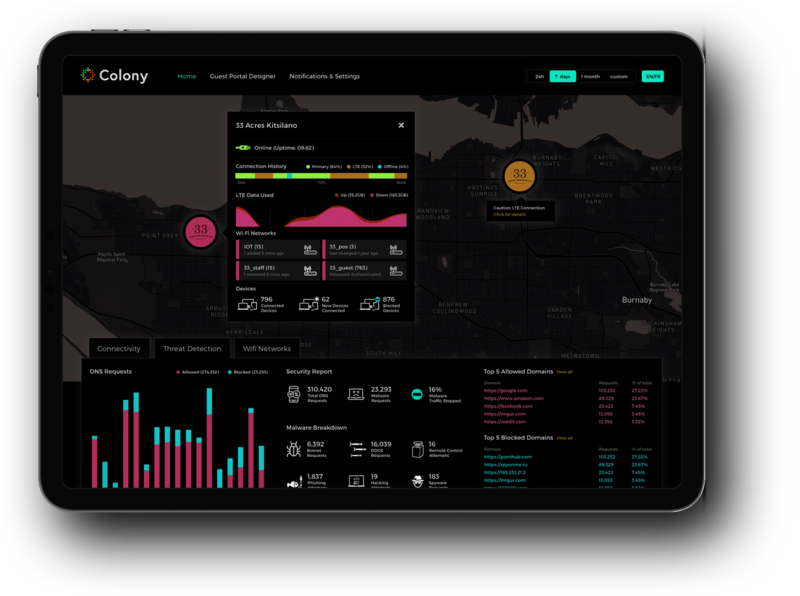 Colony solutions are cloud-based and device-agnostic. We seamlessly integrate devices from multiple vendors into a single solution with a common management interface. Colony solutions are designed for mobile. We understand the unique challenges of working with mobile backhaul connections and give you the tools you need to handle them. Management tools for mobile Wi-Fi deployments. Provide free and/or paid access to employees, passengers and other devices. Reduce your exposure to expensive data overages. Customer-facing status and performance monitoring of LTE backhaul and wireless gateway hardware for fixed wireless applications. Easily manage your employee and guest Wi-Fi networks. Access common settings and leave the complex settings to the experts.